I’m a Vietnamese American refugee who grew up in the Phillips neighborhood in South Minneapolis, and have been a spoken word artist since my teen years. I started in Speech team, over 20 years ago, before I knew it was called spoken word. I never thought being a poet would take me places – I am grateful, every day, that I get to do the work I love. Poetry/Spoken Word poetry. Not saying those two things are separate, but saying those definitions and labels are blurry, and I am unsure of where I should place myself. I know who I am and what I do. I’m not quite sure what to call it. I tour and perform all over the country as a poet. I also have a full time job at the Loft, which is the nation’s largest independent literary arts nonprofit. On this side of the desk, I create and maintain programs that support artists of color/indigenous artists and engage and build community among them and audiences of color/indigenous audiences, and other marginalized groups, through poetry, spoken word and literary arts. Does your work impact your community and how? The work I do at the Loft directly impacts the community by providing services and opportunities to marginalized groups as well as receiving input for institutional change, cross-cultural community building and engagement, and development of artistic skills. As a poet, I strive to communicate alternative views and progressive politics as an Asian American through poetry. This takes many forms – from performing in front of 900 Asian American students to performing in front of 50 correctional facility inmates who are from my own neighborhood (both of which I did this year). I also do workshops, light mentoring and workshopping, etc. What inspired you to choose this medium? It was cheap and accessible. And it just spoke to me. 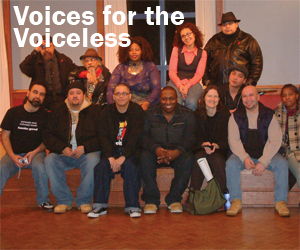 As a Vietnamese refugee from a poor family bombarded with hip hop, crack in the neighborhood, gang violence and police brutality, a resurgence of interest at my high school in radical movements such as AIM and the Black Panthers, and struggling to understand US imperialism and militarism that brought my people here, poetry was one of the few, if not only, affordable and accessible art forms for me to do. And as an outsider, it empowered me to take initiative. I didn’t have to wait around to ask somebody to do it. I just did it. Bao Phi has been a performance poet since 1991. 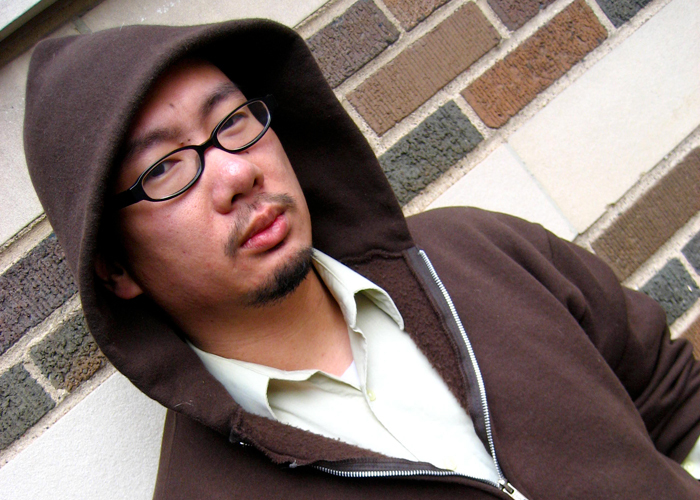 A two-time Minnesota Grand Slam champion and a National Poetry Slam finalist, Bao Phi has appeared on HBO Presents Russell Simmons Def Poetry, and a poem of his appeared in the 2006 Best American Poetry anthology. His poems and essays are widely published in numerous publications including Screaming Monkeys and Spoken Word Revolution Redux. He has also released several CDs of his poetry, such as the recently sold-out Refugeography to his newest CD, The Nguyens EP. Theatre Mu’s production of Q & A. In addition to his creative work, he was nominated for a Facing Race Ambassador award in recognition for his community work, and has published essays in topics from Asians in hip hop to Asian representation in video games. He maintains a popular blog for theStar Tribune’s website, which he uses to bring issues and alternative perspectives on Asian American community to light. Currently he continues to perform across the country, remains active as an Asian American community organizer, and works at the Loft, where he creates and operates programs for artists and audiences of color. His series, Equilibrium, won the Minnesota Council of Nonprofits Anti-Racism Initiative Award. He was the Coordinating Chair of the National APIA Spoken Word Poetry Summit, 2011. His first collection of poetry, Sông I Sing, is published by Coffee House Press and in a short time has become a national bestseller.